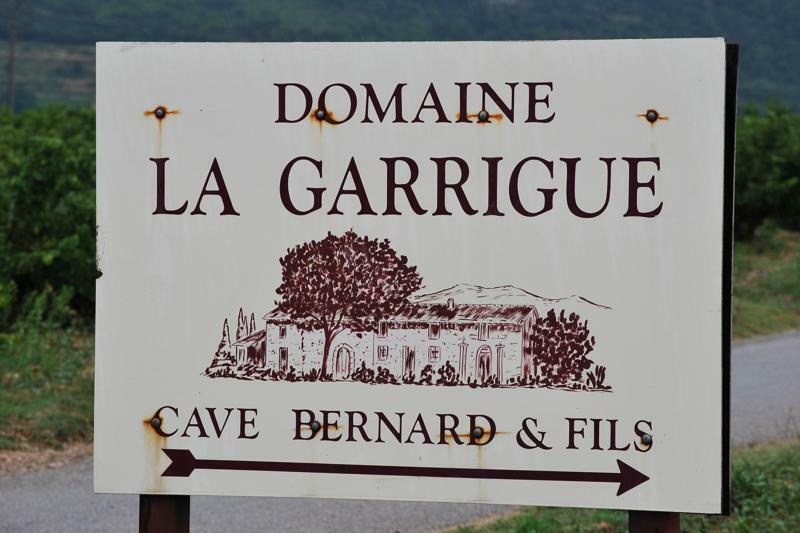 Domaine la Garrigue was founded in 1850 by the same family that runs the property today, Famille Bernard. Brothers Maxime and Pierre Bernard, of the 5th generation, are at the helm of the estate with Maxime acting as chef while Pierre focuses on the family's restaurant nestled in the hills below the Dentelles, Les Florets. Their wives, children, nieces and nephews all have roles at the domaine and there is plenty of work for all, as this is the largest domaine in the appellation covering 83 hectares. They farm vines of Grenache, Mourvedre, Cinsault, Syrah, Grenache Blanc and Clairette on the three primary terroirs of Vacqueyras. The average age of their vines is about 50 years old with some vines well over a century. The reticent but very talented Virginie Combe, a member of the 6th generation, is in charge of the winemaking with guidance from Philippe Cambie. The Cuvée Romaine is a blend made from the more precocious tanks at Domaine la Garrigue. As such, it is in fact a declassified Vacqueyras not needing additional time in concrete. Therefore it can be viewed as a really easy-going “Vacqueyras” or an amazingly complex and serious Côtes-du-Rhône.
" The Cuvée Romaine is a blend made from the more precocious tanks at Domaine la Garrigue. As such, it is in fact a declassified Vacqueyras not needing additional time in concrete. Therefore it can be viewed as a really easy-going “Vacqueyras” or an amazingly complex and serious Côtes-du-Rhône. "